The Thai Marine Department has prepared safety measures to protect all visitors to Thailand Biennale Krabi 2018. Vice Provincial Governor of Krabi Sompoch Chotichuchuang chaired a preparation meeting for the international contemporary art festival called Thailand Biennale Krabi 2018 which will open to the public from November 2, 2018. 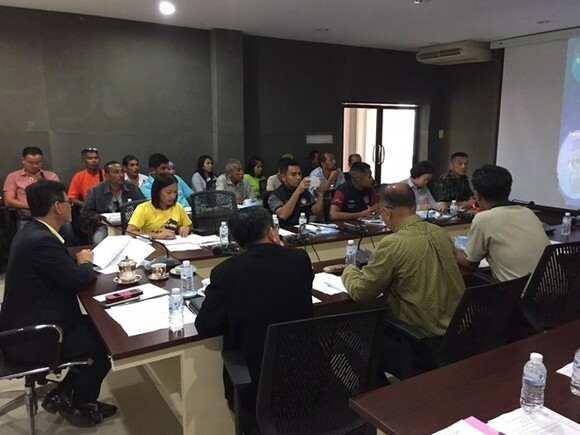 The meeting was held at the Marine Department's local office in Krabi, where delegated from government agencies and private boat carriers participated to discuss safety measures and practices. Operating staff will be briefed to strictly adhere and execute safety protocols to ensure the safety of boat transports, while passengers will be reminded to obey to all safety rules.